This long poem by John Gillespie Maggee Jnr was carved in small italic lettering with stunning effect. 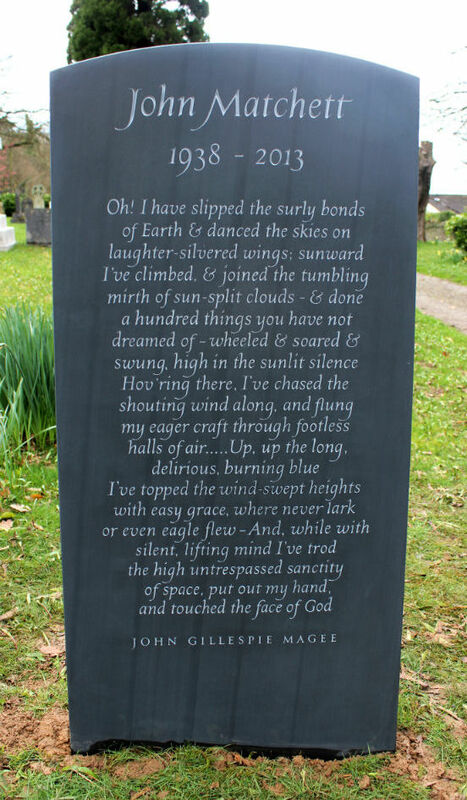 This is an example of how poems can be used on headstones in place of standard epitaphs, and with fine, hand-carved lettering, the poem takes on its own form and shape. When you carve a long inscription the rhythm is particularly important, as from a distance you will not be at first be able to read the words, and the inscription as a whole needs to draw you in.